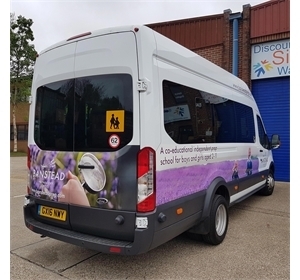 Elementary Signs is your specialist for wrapping or sign writing your school minibus or other vehicles. Full design and fitting included in our prices. High quality printed graphics and images fitted to your vehicles. Completely removable when it's time to replace the minibus. School Logos and text included to enhance the message and your image. Mix full colour printed graphics and images with text, for effect. 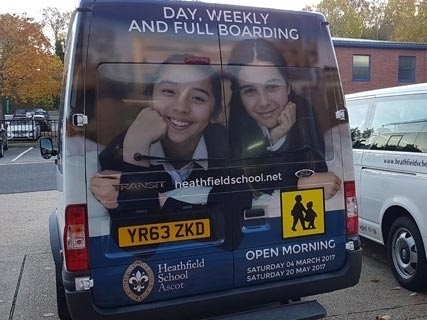 Add you own school images onto your vehicles. 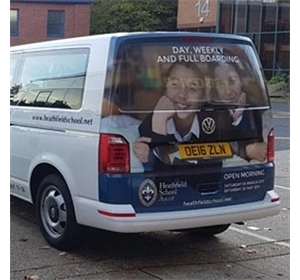 Companies have always recognised the importance of sign writing their vehicle and it is no different for schools. 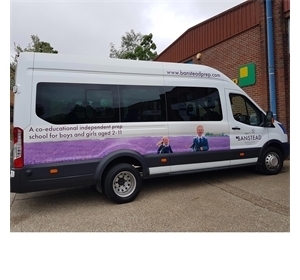 Sign writing or wrapping your mini buses and other vehicles is the most cost effective way to advertise the school and events. Sign writing or vehicle text or graphics is a very important part of your marketing. It also helps to identify your staff and students when they are out and about or visiting other schools. 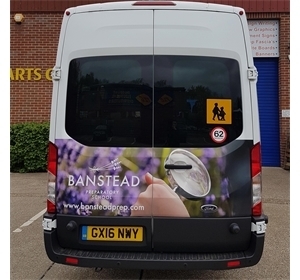 We offer full design and fitting services for all types of signwriting, part wraps or full wrapping and vehicle text or graphics. Just let us know the make and model of vehicle, what information you would like to include and we will do the rest. You will receive a full colour visual laid out on an accurate image of your actual vehicle. We'll change the design as often as you would like until it's exactly right for you. Click here for details. We can supply the graphics for you to fit or we can arrange for our fitters to fit the graphics for you either at our premises or we can come to you.